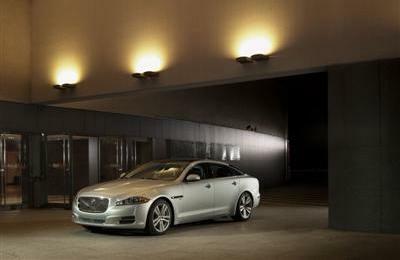 Jaguar has confirmed pricing that delivers increased value across the XF, XJ and XK model range. There's a new entry price point for Jaguar ownership and an expanded powertrain range in XF and XJ. 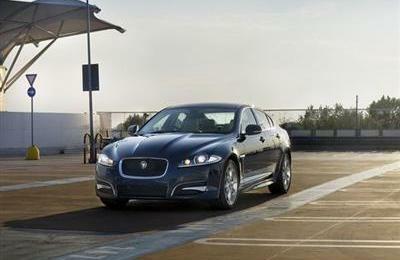 Look for the new 2.0 Litre I4 and 3.0 Litre V6 Supercharged Petrol engines in the XF and the latter in the XJ. An 8-speed ZF transmission is now part of the specifications too. The 2013MY XF range now starts from a price* of $68,900* (plus on-road costs) for the XF 2.0 Litre Luxury. The all-new 3.0 V6 Supercharged petrol engine is available from $95,650* (plus on-road costs) for the XF 3.0 V6 S/C Luxury. Further, all carry-over models deliver increased value at 13MY, including Navigation now standard in all models. All models in the Jaguar XF range now feature the new 8-speed ZF automatic transmission, delivering greater efficiency and performance. The 2013 Model Year Jaguar XJ range has a simplified entry to ownership with the XJ Premium Luxury now priced identically in both SWB and LWB, whether powered by the 3.0 Litre Diesel or all-new 3.0 Litre Supercharged Petrol engine. The value proposition has also been increased on the Portfolio and Supersport models. All XJs now have the Rear Seat Comfort Pack fitted as standard, elevating further the passenger experience. The Pack includes heated and cooled seats, winged head restraints, massage function and footrests. Ownership has been made more attainable for XK and XKR models, while the XKR-S Coupe and Convertible are now the same price. Commenting on the 2013 Model Year pricing strategy, Mark Eedle, Brand Manager for Jaguar Australia, said "with the introduction of 2013 model year, we have made Jaguar ownership even more attainable while enhancing the product across the range." Deliveries of 13MY XF and XJ will begin in December, while 13MY XK has already started to arrive locally.